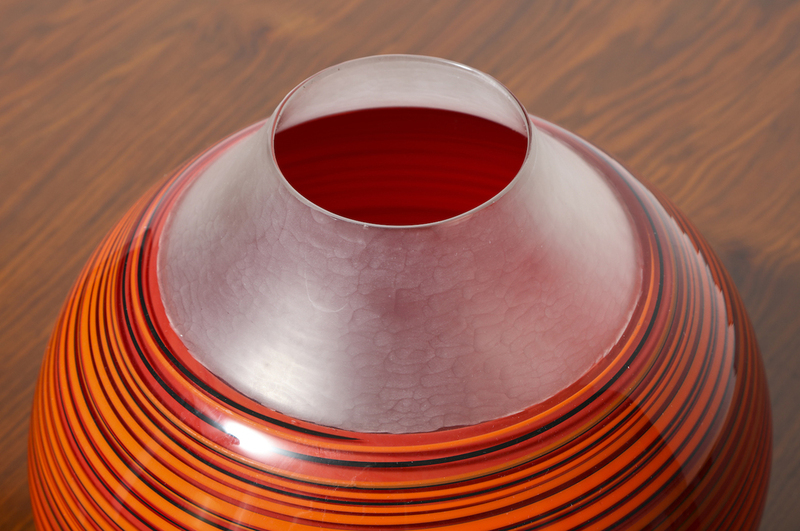 Unusual Murano glass vase. 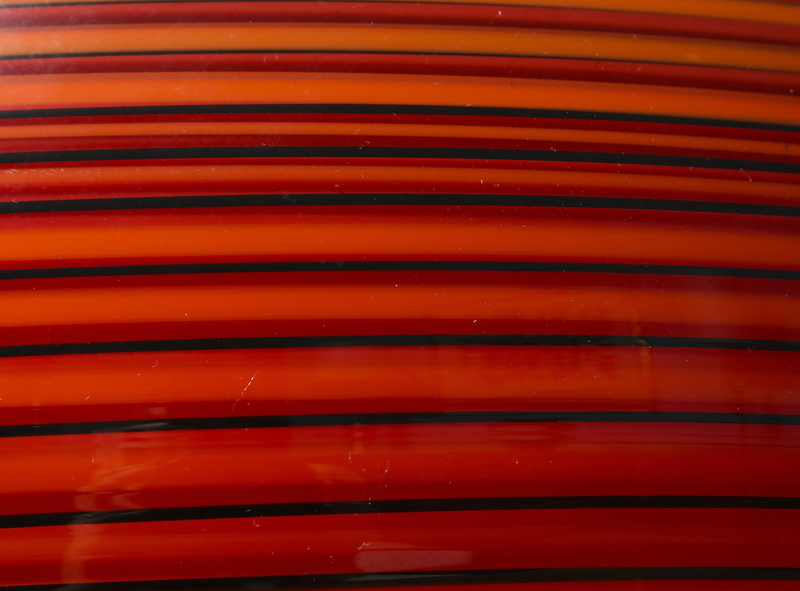 Bottom portion overlaid with orange and black dimensional stripes. Top portion of clear glass with textured battuto finish. Unsigned. 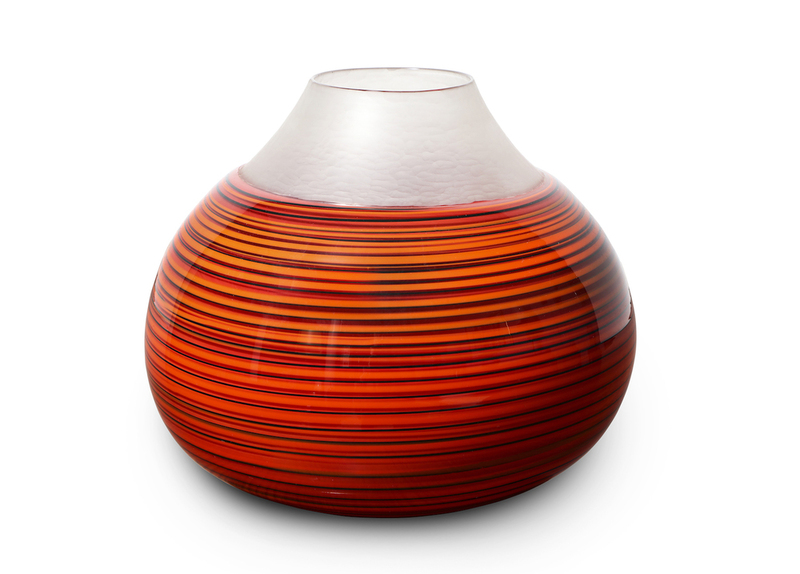 Older PostLarge Handblown Vase by Pauly & Co.